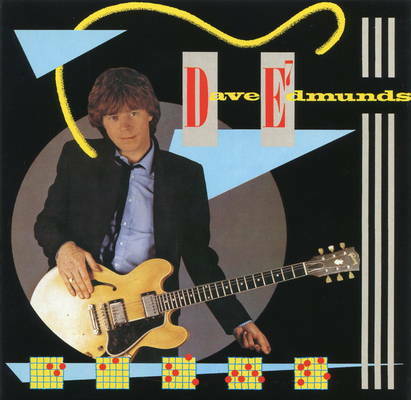 Welsh rocker, Dave Edmunds released the fabulously rich album, “D.E. 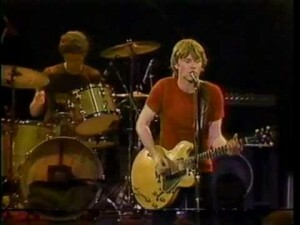 7th,,” in the spring of 1982 after the turmoil of seeing the band he had been with for most of the past decade dissolve and changing record labels. 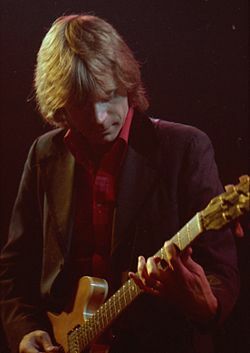 It was his first project for the Columbia label after spending five creatively productive years with Led Zeppelin’s “Swan Song” label and the first in nearly a decade without his old Rockpile cohorts, with whom he recorded and produced as a solo artist, band and on Nick Lowe’s solo projects. Being the talent magnet that he is, he never missed a step by reuniting with old Love Sculpture band mates, guitarist Micky Gee and bassist John David, and adding drummer Dave Charles and the fantastic Geraint Watkins on keys and accordion. This would be his band for the next decade and “D.E. 7th” is their Wales meets Louisiana swamp rat, punch in the face. But the meat in between these two cuts is a pure chunk of gumbo right out of the Louisiana swamps with a hard rockin‘ cover of that state’s own heroes. Edmunds takes NRBQ’s, “ Me and the Boys” to a dizzying, hard rocked edge that no other artists has done and follows it up with Watkin’s rolling and rollicking, foot stompin‘, accordion featured, “Bail You Out.” Watkin’s is strong on this entire record, especially on his own composition, “Deep in the Heart of Texas,” and it’s endearing lyrics of the Welshman who longs to be the western cowboy he sees “on his color T.V.” I actually saw Edmunds on this tour at the old Bayou club in Georgetown, D.C. and, I can assure you, Mr. Watkins practically stole the show in a live setting and I was glad I got to see this wonderful, journeyman artist perform. Throughout, you have the classic Edmunds production of braided instrumentation, pumped up leads and layered vocals that still make him one of the best and most sought after producers of his time. The great lead trade offs between he and Gee show both men’s virtuosity on the guitar and the entire piece is a great showcase for Edmund’s then new (kind of) band. Unfortunately, this record is not real well known outside of the Edmunds fan base, especially in the U.S. This is sad, because it is possibly his best, “solo” work with its predecessor, “Twangin‘,“ being a very close second. So, go give it a try if you haven’t already. Hell, do yourself a favor and get anything and everything that Edmunds has had a part in. It’s all fun! 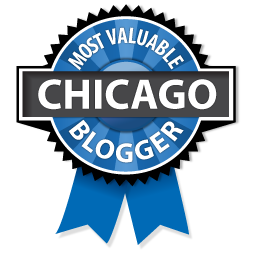 See our piece on Rockpile, Seconds of Pleasures. A fabulous album, and Dave’s best, I think. His huge contribution to the history of rock n roll has yet to be recognized.